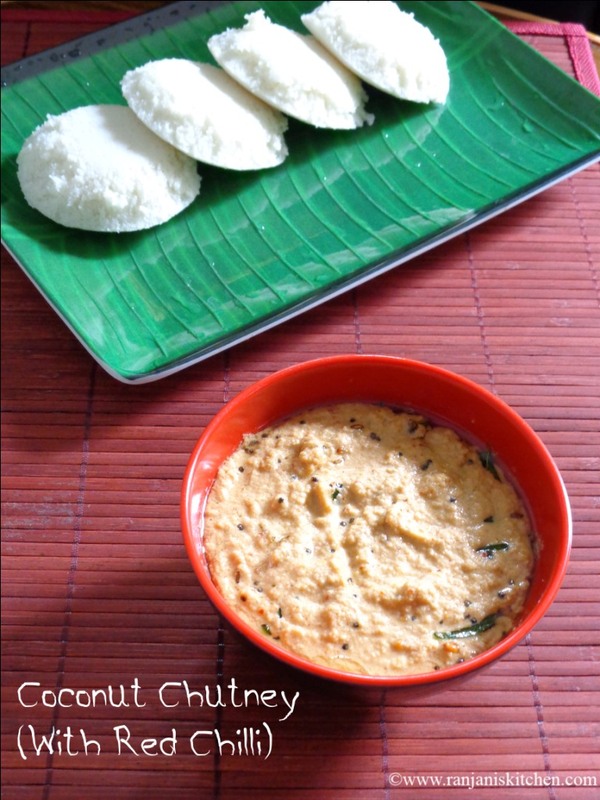 Coconut Chutney – Always a best accompaniment for idli, dosa, bajji, kara paniram and fritters. 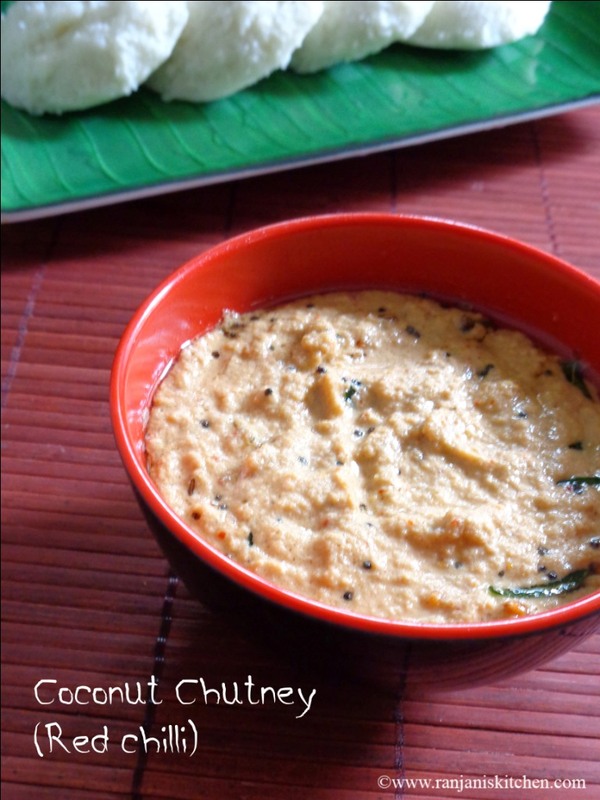 There are also many other ways to make coconut chutney, this version is tangy with addition of tamarind. Also I added red chilli instead of green. It was awesome with mild flavor of garlic and ginger. 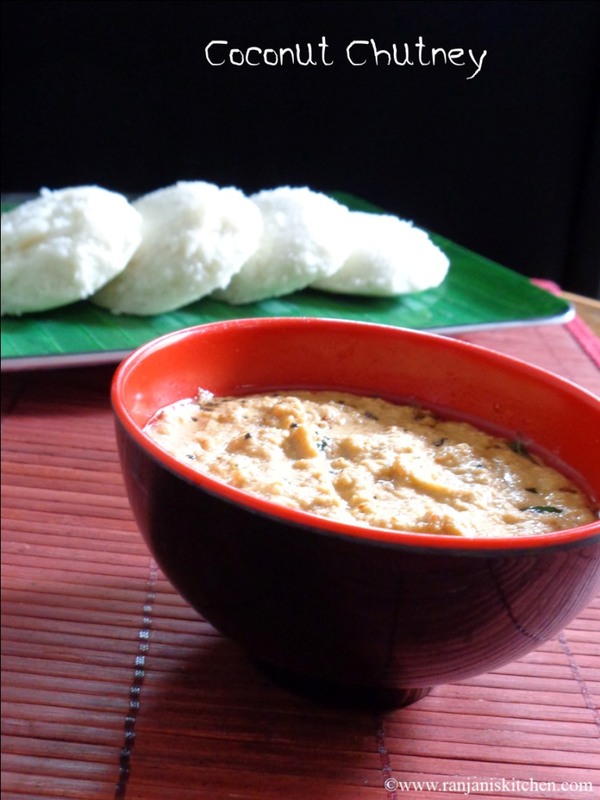 Lets try this recipe and write me your feedback. Shred one cup of coconut and keep aside. Dry roast channa dal and set aside. Take all the ingredients coconut, dry roasted channa dal, red chillies, garlic, ginger, tamarind and salt in a mixer. Grind well to a smooth chutney. Heat a seasoning pan and temper with the items given under “ to season” and add it to grinded chutney. 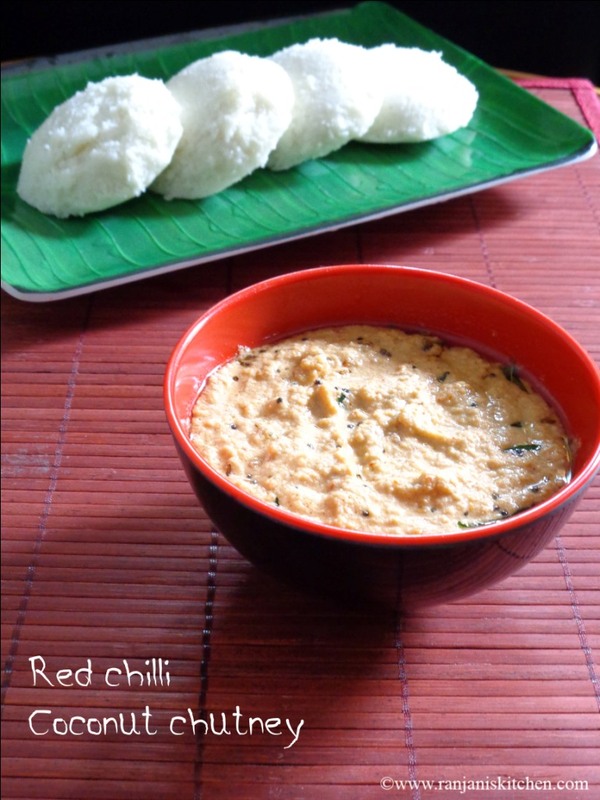 Serve with hot idli or roasted dosa. Adjust the salt and red chilli as per your taste. If you want more spicy add two more chillies. The tamarind I mentioned is perfect for 1 cup of coconut. If you don’t want more tangy just reduce it little.